Molting hermit crabs are under a lot of stress, and extra care should be take with them at this time. There are various opinions on the best way to care for molting hermit crabs, so you will have to decide which method will work best for you. No matter how you approach the care of your molting hermit crabs, you need to be extra careful about providing the optimal environment. Also avoid handling or disturbing molting hermit crabs as much as possible during this time. 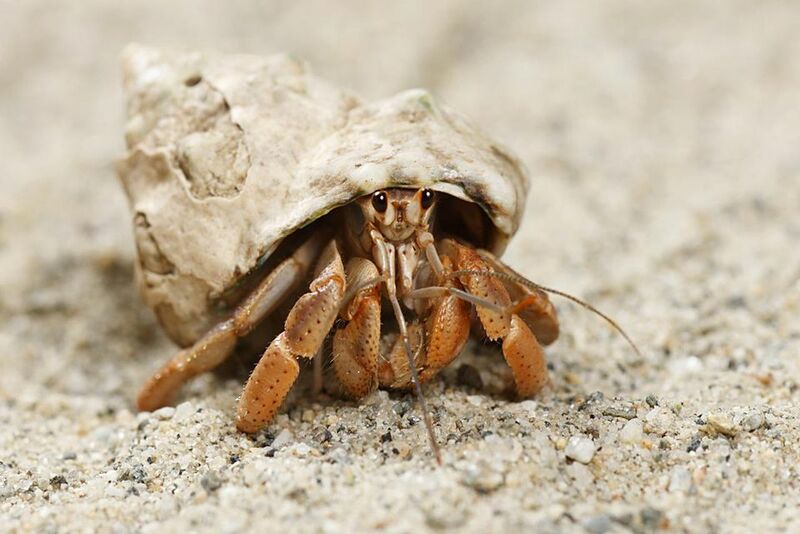 Trust that your hermit crabs know what they are doing when it comes to molting, and though it is hard on owners, leaving molting hermit crabs alone to get through the molt is the best way to help! How can I tell if my hermit crab is going to molt? What is an isolation tank? How do I set one up for a molting hermit crab? Do I need to use an isolation tank for my molting hermit crab? How long should I wait before returning an isolated crab to the main tank after molting? Should I leave the molted exoskelton in the tank? How can I tell the difference between a molting hermit crab and a dead hermit crab? How long does molting take? How often do hermit crabs molt? What Are Signs That Your Tarantula Is Molting?